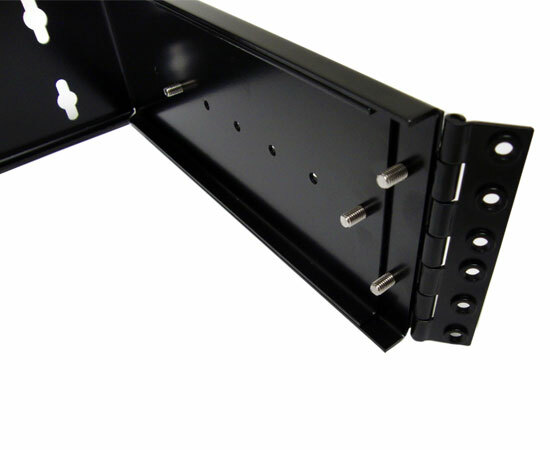 Our 2U hinged wall mount bracket is ideal for two Patch Panels, switches or additional devices where up to 14” depth is needed. The adjustable depth design gives you 9 to 14 inches of depth to work with, and the hinged design allows panels to swing out for easy rear access. 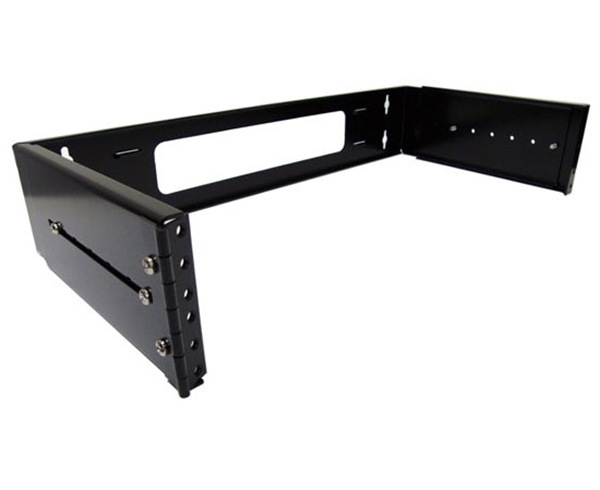 This hinged patch panel bracket provides an economical and flexible alternative to buying a larger and more expensive networking cabinet, rack or enclosure, and also allows you to save space by mounting on a wall or inside an existing closet or enclosure. 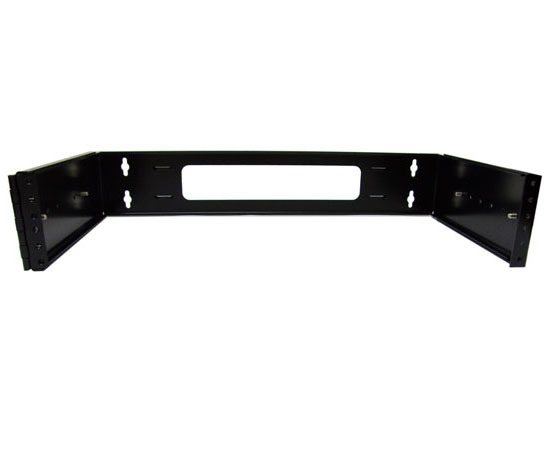 This swing-out bracket has a rear access cutout that's big enough to feed whatever cables you need through the mounting surface with ease.